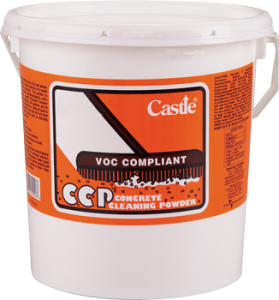 Castle® CCP™ is a highly effective powder that cleans hard surface areas of oil and grease with no harm to either concrete or its sealer. It is water soluble, biodegradable and non-flammable. 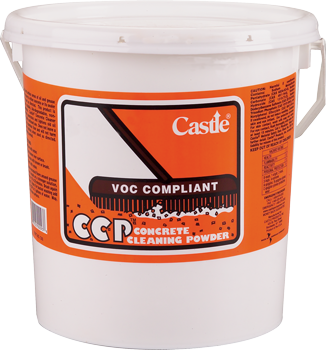 CCP™ penetrates and lightens old oil stains and does not leave a slick or hazardous floor. 2. Spread cleaner over surface, let sit 5-10 minutes. 3. Scrub areas with stiff broom.